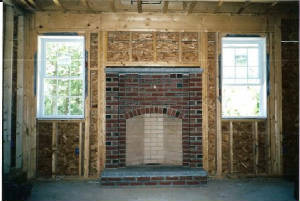 A three piece Kit made by Superior Clay using a pattern developed by Jim Buckley is hear in this fireplace. This is a three foot modern fireplace. 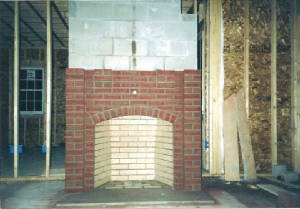 The Arch is actually taller than a modern fireplace that is useraly 29 inch. 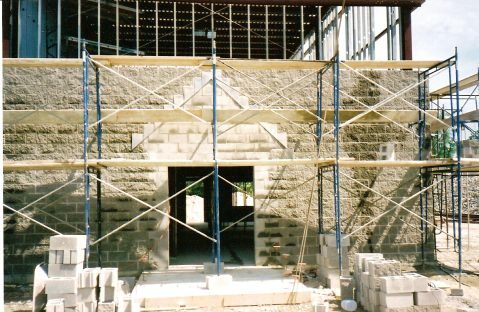 By increasing the height opening to 34 inchs and incorporating a narrow damper begins the development of a rumford. Lead Coated Cooper Flashing prepaid for the Vestibule. 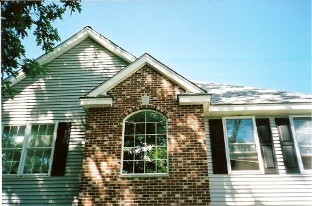 This is a typical Brick Bump out on a 4000 square foot House. 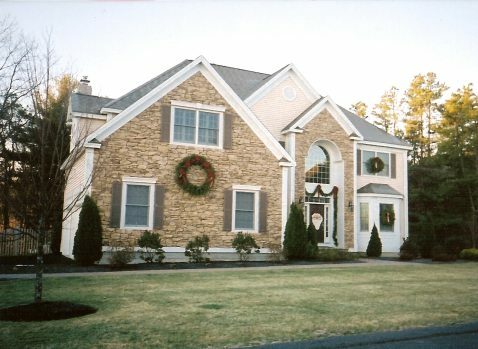 Marc Duclos successfully installed this stone along with the builders full knowledge on how to trim out this house. 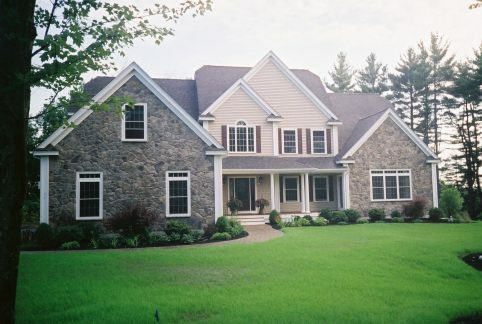 Duclos set this stone to this house in New Hampshire. 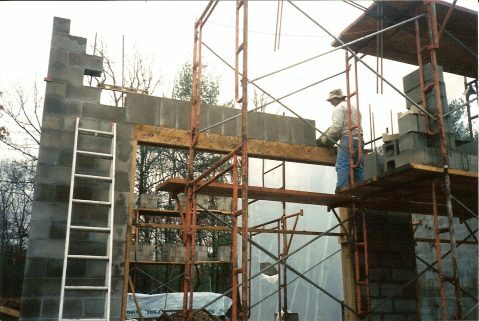 Setting the close pin lintel block for a ten foot span that supports itself when the forms are removed.